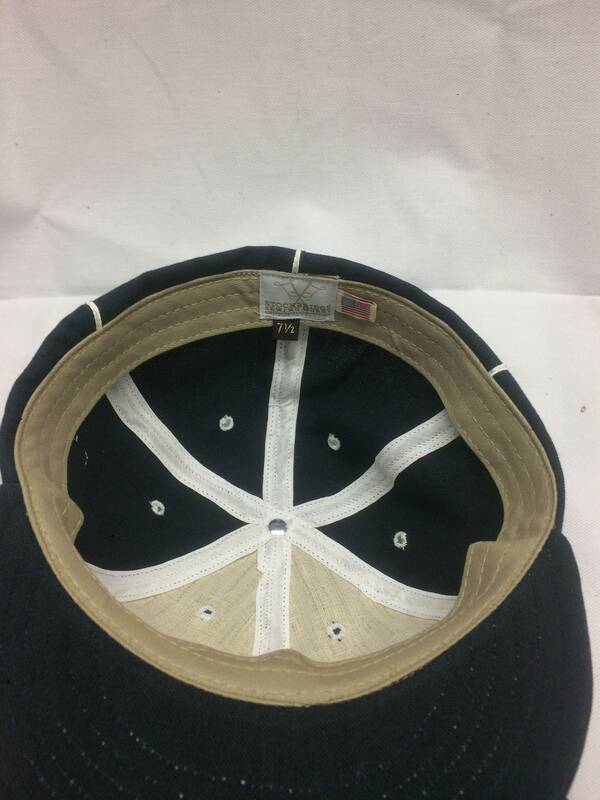 New Brunswick Liberty Vintage Base Ball team cap. Any size available. Select at checkout. 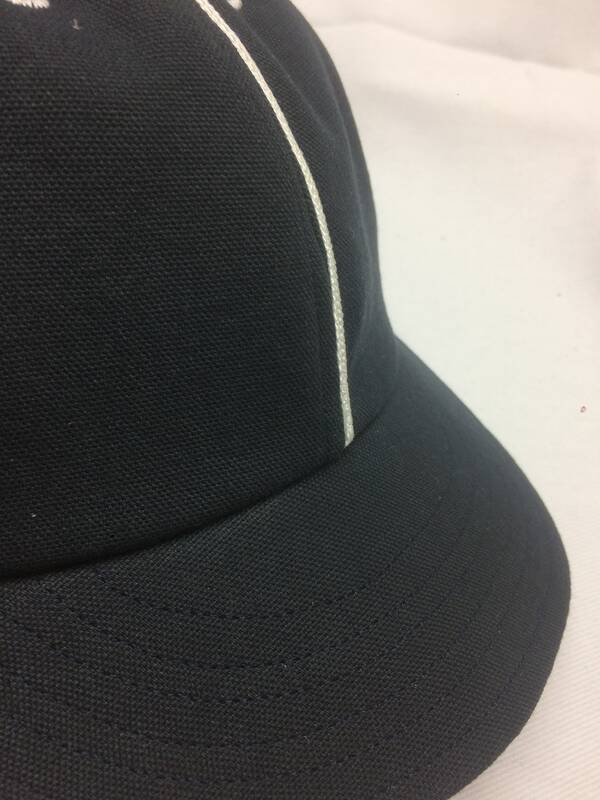 This cap is a sturdy cotton weave in deep navy blue. 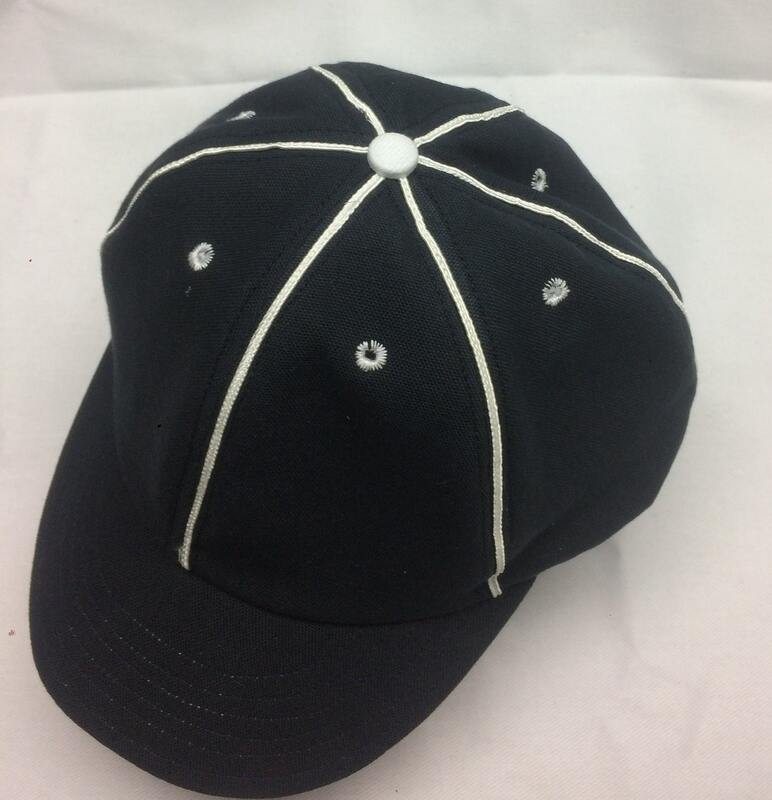 The white eyelets, button and soutache trim on the seams really stands out amidst field of dreams they play on. Fitted to any size with a cotton sweatband. 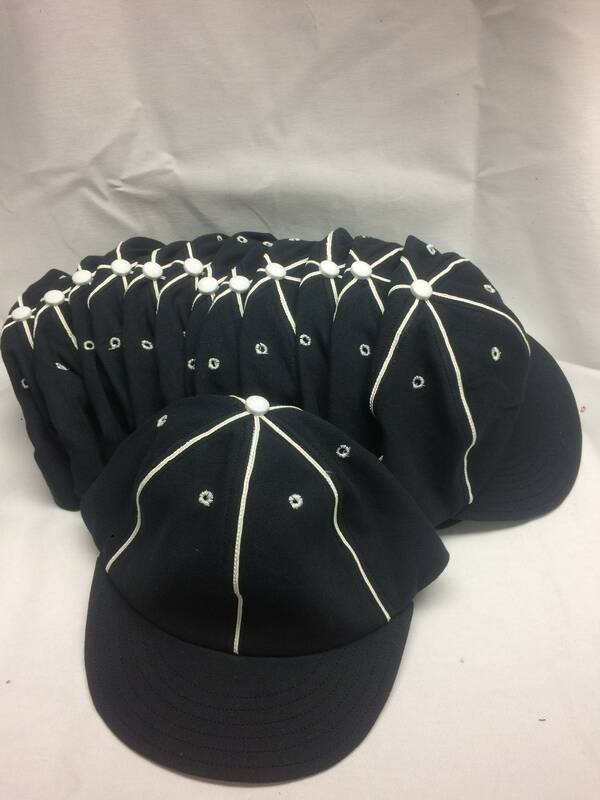 Soon to become your favorite cap! Prefer anonther color combination? Email me at norma [!at] stockbridgesewingworks.com with any requests.